Duration is King! 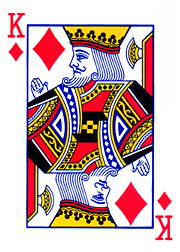 Long Live the King! After the violence in yesterday’s markets, some investors who had forgotten about (or drifted away from) the benefits of diversification may be thinking today about which bonds to add to counterbalance their equity allocation. Do not be tempted to take on a new bond position based only on recent returns, but take a page from how professional portfolio managers make decisions. A professional manager is seeking to manage risk exposure—not to eliminate risks, but to mitigate some risks, while using other risks to seek incremental return. The manager’s investment process seeks to evaluate the potential reward associated with foreseeable risks—“buying” some (overweighting) and “selling” or hedging others (underweighting). Generally speaking, if they have money to put to work, they don’t look at the market and decide whether or not to invest today. Instead, they are more likely to ask, based on what the market is doing now and what they expect in the future, what is the best investment that they can make today? First and foremost, your portfolio should reflect your goals as defined by your investment plan or policy. Do not chase returns. (In other words, duration may have been king yesterday, but not necessarily today or tomorrow.) Past performance is an important data point to consider, but not the only one. It is impossible to know the future–hence, diversification is as important to investors as car insurance is to drivers. Before you make any changes to your fixed income allocation, read about How to Time Interest Rates and to get a sense of the process used by full-time portfolio managers, the Benefits of Professional Management. *These comments are relevant to investors–those with a longer-term investment horizon. Traders will have a much different perspective. The information contained herein is based on sources believed to be reliable, but its accuracy is not guaranteed. The author does not provide investment, tax, legal or accounting advice. Investors should consult with their own advisor and fully understand their own situation when considering changes to their strategy, tactics or individual investments. Investments in bonds are subject to gains/losses based on the level of interest rates, market conditions and credit quality of the issuer. Additional information available upon request. 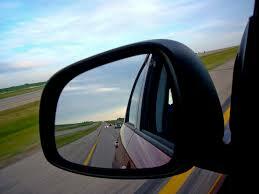 Are you using the rearview mirror to figure out where you’re going? How can an investor measure risk? To non-professionals, duration and standard deviation often don’t really make sense. But yield (or return) is a number that every investor understands, and is often used as the primary point of comparison between different prospective investments. Return measures, however, are backwards looking. If you are driving, you would not expect good results by looking only in the rearview mirror. How could you prepare for the curve in the road, or the hill up ahead that obscures the view of oncoming traffic? And, what happens if a black swan happens to be crossing the road in front of you? Historical returns are very important–but they are not the only important data point. Now is a good time to illustrate the importance of understanding what has generated returns in the past, and to have an opinion about where returns will come from in the near future. An investor looking at putting money to work in the bond market right now would be unlikely to select the 20+ year part of the U.S. Treasury market due to the very high interest rate risk–yet that same investor, if looking only in the rear view mirror of trailing returns might be drawn to the attractive 12-month returns of almost 10%. Even with a negative year-to-date return, the maximum duration (and therefore highest interest rate risk) U.S. Treasury 20+ year part of the market could be making a significant positive contribution to the 12-month trailing returns of a portfolio. (The Modified Duration of 18.39 indicates that an immediate change in yield of 1 percent would be expected to result in an over 18% drop in price. Note also that the one-month return looks attractive as well but keep in mind that the bond markets have been distorted by recent drama in Greece, so without the strong July rally, the YTD return would be even lower.) If the bond market continues on its present trajectory, most investors would expect that 20+ year part of the U.S. Treasury market will continue to underperform, dragging down the trailing performance numbers. This doesn’t mean that investors should ignore the historical returns–but rather they should understand the components of those returns, and consider how those components are likely to perform given the current and expected market conditions. Keep in mind that when buying and holding individual bonds, the Yield to Maturity (YTM) is a good indicator of what the annualized holding period return will actually be. (YTM does make assumptions about the reinvestment rate earned on the cash flows, so final return could vary somewhat from the YTM calculated at purchase.) Read Benefits of Professional Management for some additional insight on making portfolio decisions. August 3, 2015. The information contained herein is based on sources believed to be reliable, but its accuracy is not guaranteed. The author does not provide investment, tax, legal or accounting advice. Investors should consult with their own advisor and fully understand their own situation when considering changes to their strategy, tactics or individual investments. Investments in bonds are subject to gains/losses based on the level of interest rates, market conditions and credit quality of the issuer. Additional information available upon request.